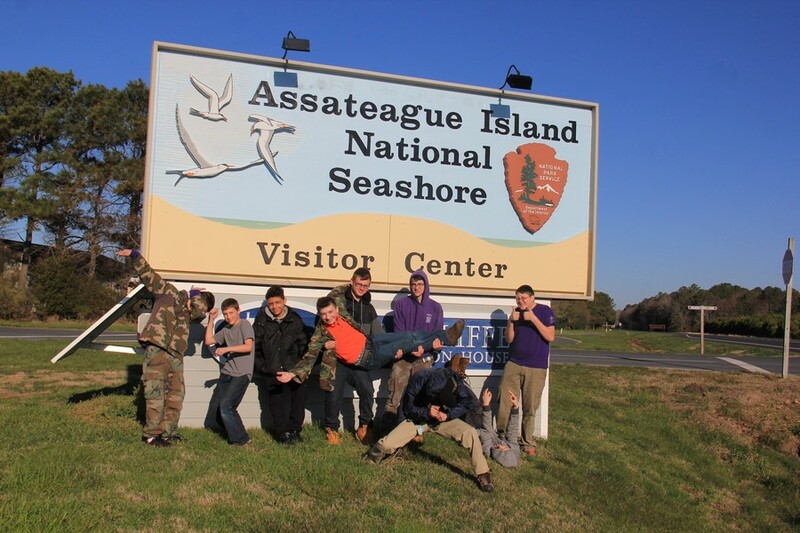 Well done to Chase for finishing up his Eagle Project! He spent four days pulling up fences and repainting the front of the Berlin VFW. The building looks great! Congrats to John and James for being elected to Order of the Arrow this year! Enjoy your ordeal. 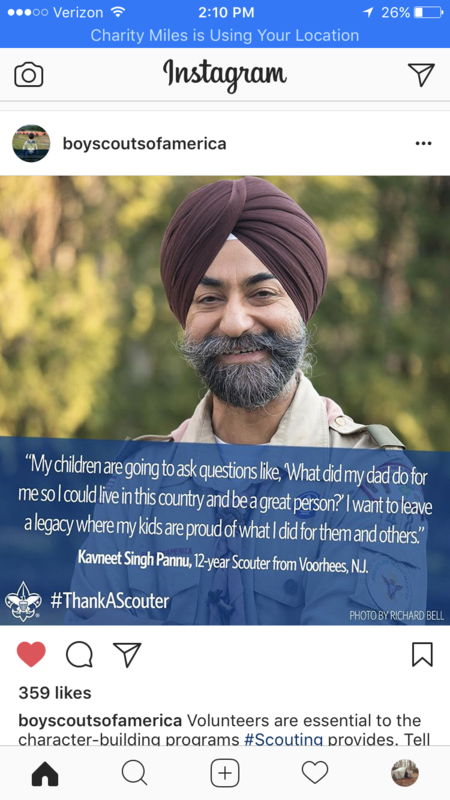 Mr. Pannu in the national Scouting media! For those of you who read Scouting Magazine, a familiar face was featured this month! 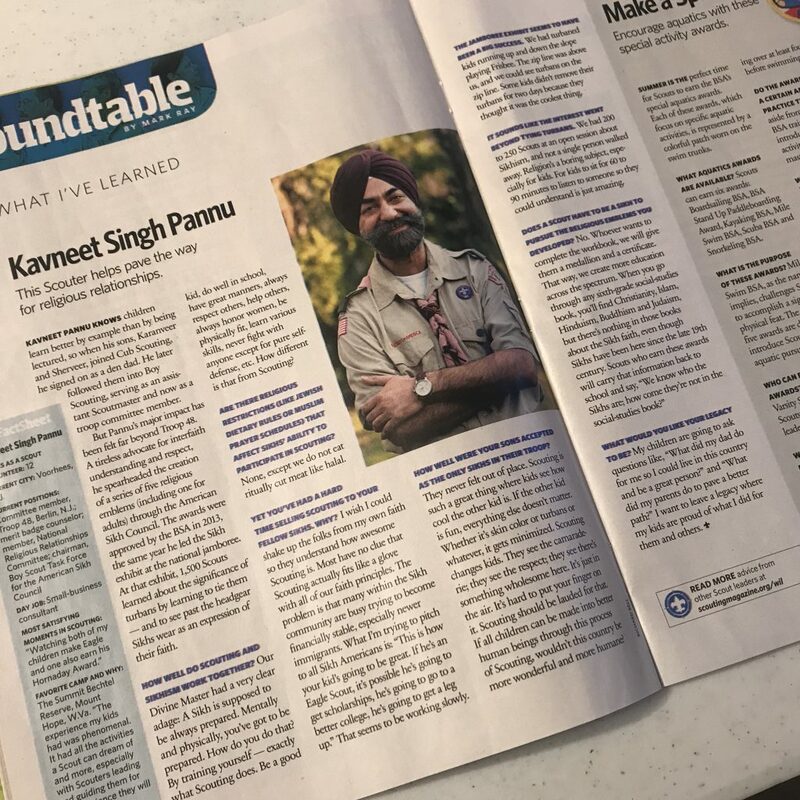 Mr. Pannu talked to Scouting Magazine about the creation of the Sikh Religious Award. A few days before I opened this up, a similarly familiar face popped up on Instagram from the national BSA account. Over Spring Break, snow days and bizarre school Spring Break schedules left Magnus solo on the AT for the Troop’s Spring. Still, he finished 55 miles of backpacking from the northern border of Shenandoah National Park up to Harpers Ferry, West Virginia. Great job Magnus! 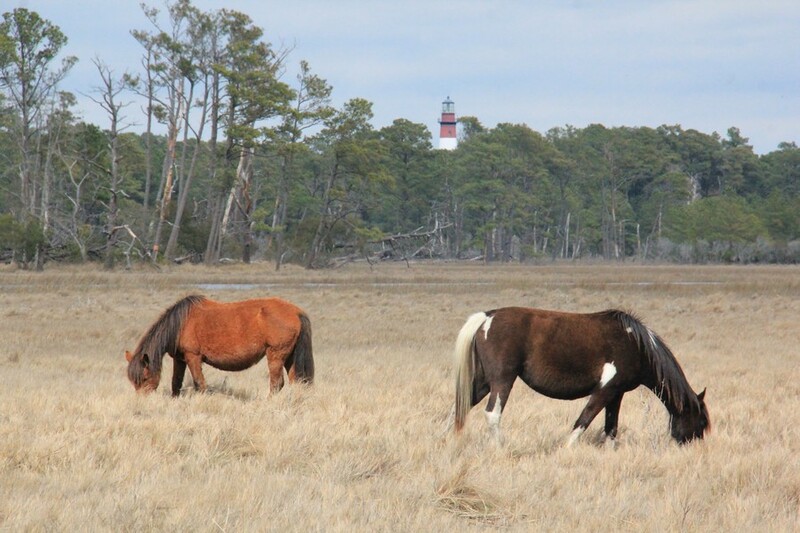 April saw us head down to Assateague Island, where we camped on the beach under the sta… clouds. After nearly blowing away Saturday morning, Troop 48 headed down to Virginia and Chincoteague Island, where we visited Misty, climbed the lighthouse, and hiked out to find some horses in the marshes! Rodney – 70 degrees in February? 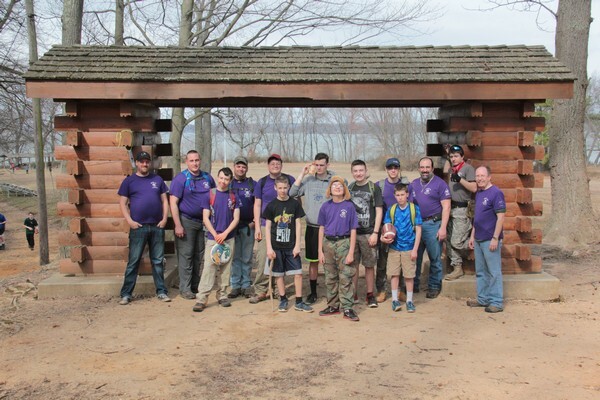 We had a unseasonably warm trip in February down at Rodney Scout Reservation back in February. Even had a thunderstorm on Saturday night! In February! Spent the rest of the weekend hiking around the camp and playing board games, good times! Congrats to Tim Smith for earning his Eagle Scout rank back the end of February. 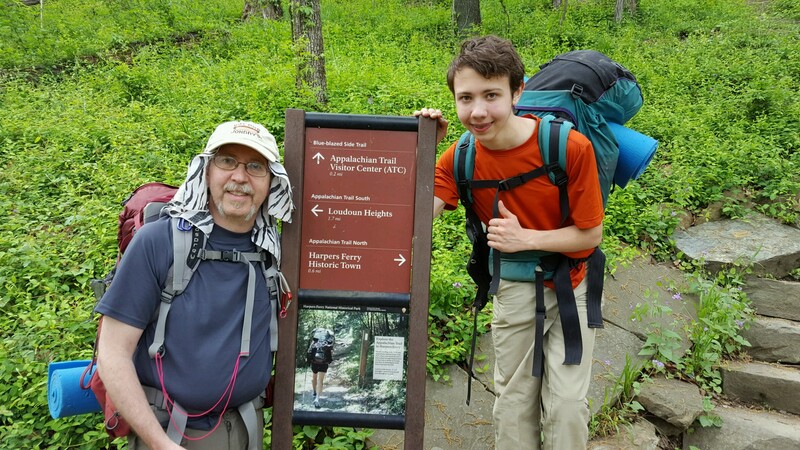 For his project, Tim resurfaced the Red Lake Trail at Batsto in Wharton State Forest. 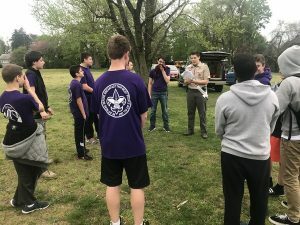 He also had a great run in Troop 48, including being one of the scouts who went to Washington State last summer. 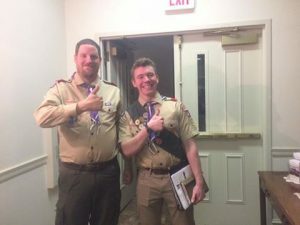 Tim becomes our 120th Eagle Scout! Congrats again Tim! 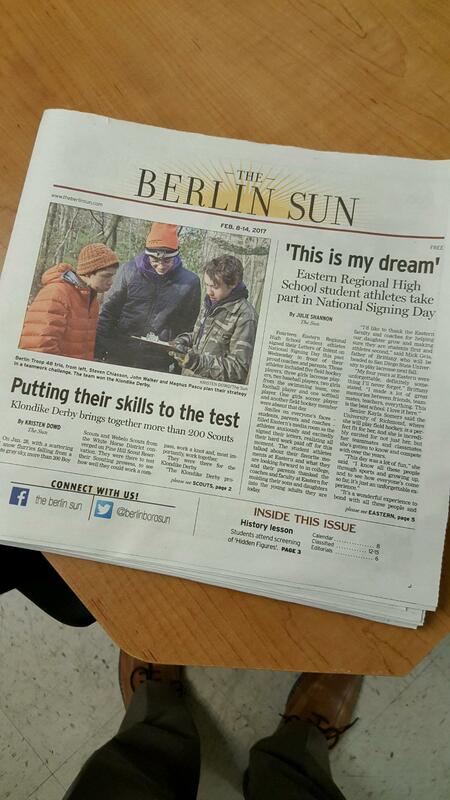 Who has six thumbs and made the front page of The Berlin Sun in February? 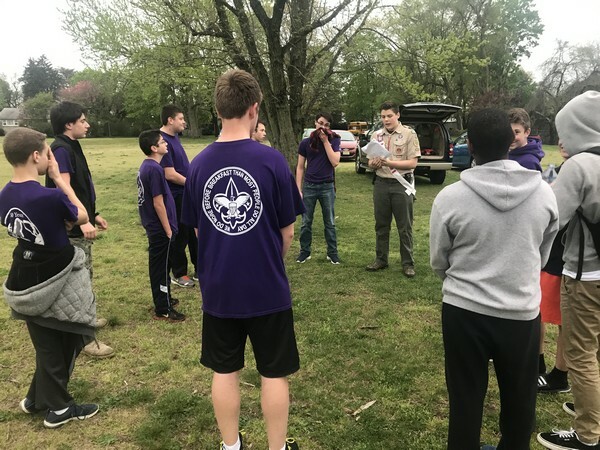 Troop 48 did, or at least one of our patrols. Fame and fortune, here we co… I mean, great job guys! Thank you to Kristin over at the Sun for such a great article on the Klondike Derby! Fun times at Rodney this weekend! Had an absolutely perfect weekend to be staying at Camp Rodney down on the Chesapeake Bay in Maryland. 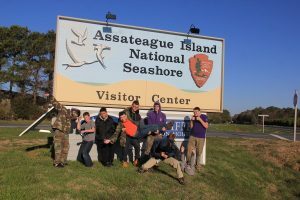 Went on a five mile “hike” that was more an excuse to explore the nooks and crannies of that stretch of the Chesapeake Bay. Then we capped it off with a rainy night playing Risk, Monopoly, and card games. 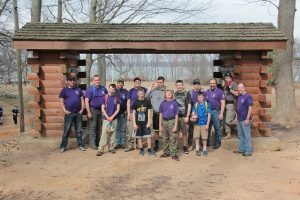 Next trip is March 10 to 12 where we’ll be biking out at Valley Forge! See everyone then! Friendly reminder – no regular meeting this Wednesday! 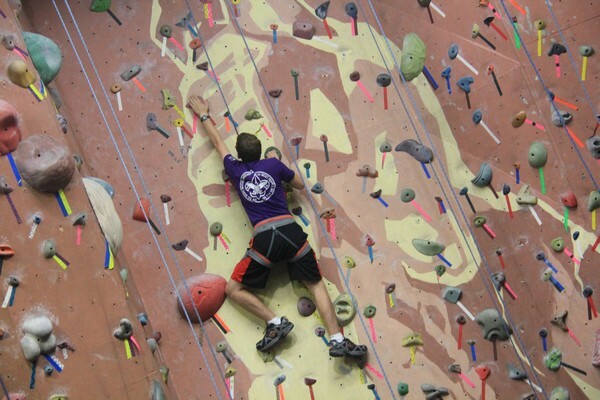 Instead, we’ll be at Elite Climbing at 67 Old Kings Highway, Maple Shade, NJ 08052 from 7 PM to 9 PM! Cost for 5 to 9 climbers is $20, so please bring $20 in cash or a check made out to Troop 48. If we get more than that, then the cost per Scout will go down.